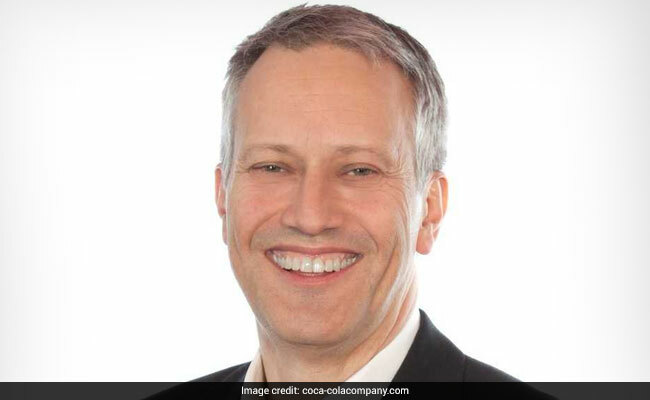 Coca-Cola Chief Executive James Quincey believes that economic growth in North America is essential for finding solutions to another political issue: illegal immigration. As NAFTA negotiations drag on, Coca-Cola Chief Executive James Quincey is adding his voice to the chorus of leaders urging the U.S. to preserve free trade. Though the agreement can and should be improved, throwing up barriers between nations again isn't the answer, Quincey said in an interview on Bloomberg Television. Quincey, whose company operates in more than 200 countries, also advocated for a less extreme version of the U.K.'s exit from the European Union. "Very few free-trade deals are perfect. Can it be made better? Yes," he said, referring to the North American Free Trade Agreement. "I hope they can make it better. But I don't think we should start deconstructing global trade. I think it's been a powerful engine for lifting all boats." Quincey became Coca-Cola's CEO last year, putting the 53-year-old Brit in one of corporate America's most prominent perches. The executive is on his way to this week's World Economic Forum in Davos, Switzerland -- where President Donald Trump, a critic of Nafta, is expected to be in attendance. Quincey believes that economic growth in North America is essential for finding solutions to another political issue: illegal immigration. That's because economic disparity is what drives people to move north, he said. "Having a community of North America where all the economies are growing actually helps solve that problem," Quincey said. The Obama-era Deferred Action for Childhood Arrivals program, which protected undocumented immigrants who were brought to the U.S. as children, is currently being debated in Congress. Temporary funding of the U.S. government ends Friday, and Democrats may risk a shutdown over Republicans' refusal to include language to permanently protect Dreamers. "Davos -- for all the sort of strangeness of being in a very isolated part of a mountain -- it's an opportunity to hear diverse views and debate things," he said. "I'm sure the president will put in a point of view and contribute."